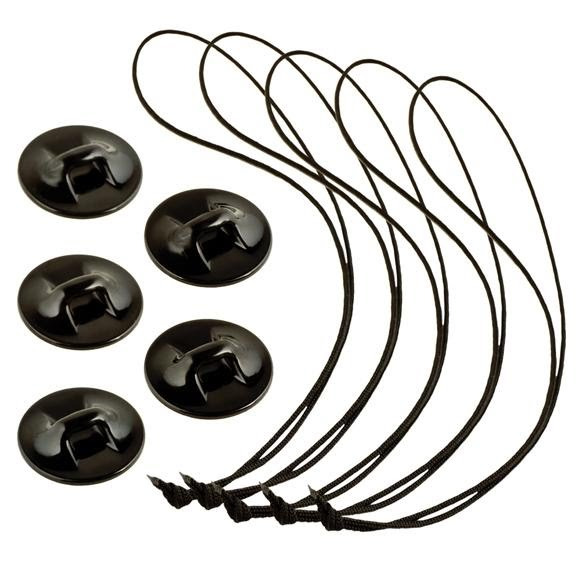 Use these camera tethers and adhesive anchors to further secure your GoPro camera in extreme conditions. The tethers attach to the camera housing's backdoor and the adhesive anchors attach to your gear. Compatible with ALL HERO3, HERO2, and HD HERO Original Cameras. Use these camera tethers and adhesive anchors to further secure your GoPro camera in extreme conditions. The tethers attach to the camera housing&apos;s backdoor and the adhesive anchors attach to your gear. Compatible with ALL HERO3, HERO2, and HD HERO Original Cameras.